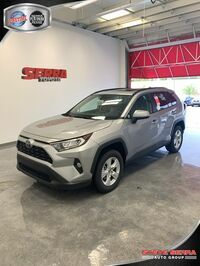 The Toyota RAV4 lease in Birmingham, AL from Serra Toyota is a great option for crossover shoppers and car shoppers alike. The RAV4 is an exciting vehicle that gives you tons of versatility and style. It has a bold front end with a chiseled look and side lower exterior panels to give it an extra boost of sport. It’s as athletic as it is refined. From road trips to hauling groceries, camping trips, and other adventures, the Toyota RAV4 can cater to all needs. Plus, on the interior of the vehicle, you will find all sorts of amenities that make life easier and more comfortable. The interior boasts of sophistication and careful styling so that everything is in the right place. The cabin has a host of technology and gadgets to keep you and your passengers at ease and comfortable. It features connectivity technology and helps you easily make calls, use voice commands, and access other features you’ll enjoy. Plus, with the soft-touch materials and comfortable seating, you won’t mind a long road trip and neither will your passengers. 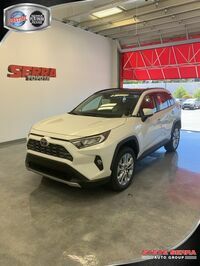 The RAV4 has configurable storage so that you can adjust the dimensions and seating arrangements of the cabin to accommodate any equipment you might need for your next adventure. When you lease a vehicle, you have access to some serious benefits. Leasing is a great way for car shoppers to access a new vehicle without the long-term commitment of buying. Generally, leasing allows you to have smaller monthly payments so that you can keep your valuable cash in your pocket. The down payment is lower normally, so you also don’t have to save as long as you would have if you were planning on buying. Plus, with a lease term, you usually keep a car for a much shorter time than if you bought. This means that you can upgrade more frequently. Leasing lets you get into a new vehicle without the standard commitment that purchasing new brings. 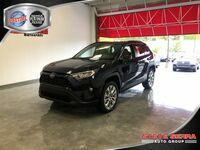 Interested in a New Toyota RAV4? 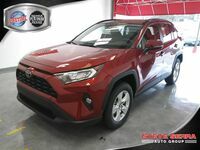 The 2018 Toyota RAV4 is offered in nine different trim levels. This includes the Adventure model grade, which is new for the 2018 model year. In the 2018 Toyota RAV4, you'll have access to a 2.5L 4-cylinder engine. The Star Safety System™ and the Toyota Safety Sense™ P (TSS-P) system comes standard on all 2018 Toyota RAV4 models. The 2018 Toyota RAV4 is built with drivers in mind so that every amenity is placed to perfection. Standard features on this model include Entune™ Audio, Eco and Sport modes, and more! 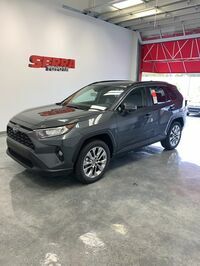 The 2018 Toyota RAV4 can achieve 23 city/30 highway mpg*.